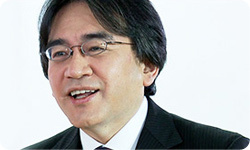 I think people all over the world are eager to find out how Mario and Zelda games would change with Wii U. What can you say about these, Miyamoto-san? Um... I can't really talk about them a whole lot yet, but Nintendo is finally entering a level of HD graphics, where we're now using shaders9 and such. In that way, it's more... How should I put it, I think people can expect to play more immersive game experiences than before. 9Shaders: A method of graphic processing that expresses lights and shadows. Yeah. And with Mario... Let's see. It's actually a little heart-pounding for me when I test the landings after Mario makes a jump, because the graphics are finer than ever before. I haven't really figured out the direction for this yet, in terms of whether it should be combined with the new controller, or using it as a sub-screen like in Ocarina of Time 3D, or whether it should be playable just with the new controller. With a Mario game, there are both possibilities. Well, with New Super Mario Bros. Mii, you're now able to play Mario games with Mii characters. Well...we really debated about this, but when playing New Super Mario Bros. Wii10 on the Wii console with four people, people always talk about how there are Mario, Luigi, and two Toads, and they wonder why the two are Toads. 10New Super Mario Bros. Wii: An action game for the Wii console released in December 2009. Right, it's already been great fun playing with four players but sometimes you can't tell who's who. You say things like, "who's that Toad that just messed up?" (laughs) The characters have a distinct colour on them but you start losing track in the heat of the moment. But if we made it so that people can play with Princess Peach, you have to think about how to change her gameplay with her physical proportions, and if we went with Wario people would expect a different ability from him. But we're not able to make all the player characters Toads either. That's when someone brought up how great it would be if you could use Mii characters. Although, I actually still debate by myself if it's ok for a Mii character to be the main character of a Mario game! (laughs) But I made the decision thinking that our customers would want to play with their own Mii characters the most. I hope people play it thinking that they're their own Mario, rather than their Mii. And by the increased resolution, you're able to see the Mii characters even when they're very small. And in terms of gameplay, there's already that established environment where four people could play holding the Wii Remote sideways. And the environment has started to emerge for it. With the increasing number of households with one Wii Remote for each member of the family and a big screen HDTV, there are many customers who are prepared to play in situations like these. I think that part is fairly easy to communicate. I wondered how much benefit a Mario game could have with higher resolution. When the development team showed me a prototype of New Super Mario Bros. Mii for the first time, I thought the benefits were obvious. That's the case, especially with 3D games. In how you're able to tell whom it is right away, even when they're far away. Right, that's what I mean. Also, with side scrolling games like that, you can play with just the screen on the new controller without having to use the big screen when you're playing by yourself. When someone else in your family wants to watch a show on TV while you're playing, you can keep playing on the screen of the new controller, or you can show off your gameplay to the people in the room on the big screen. I think there is a wide range of options in what you can do. On the other hand, how is it making something that's completely new? 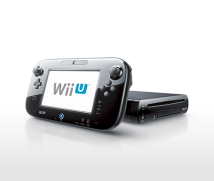 Now that Wii U has been made, is it easier for you now to think of those things? Hmm... Well... It's just that I actually never worry about what to do when I think about new things. I'm the type that thinks there have to be new things to do. And, every time I finish something people question if I can surpass my past creations. That's the same when you work on a series. People ask you what will you do next when you've done everything with Mario and Zelda? That's right. I always say we've done everything we wanted to do every time we finish a project. You did everything you wanted at that moment, but new ideas keep popping up? Yeah, I always think that new ideas will come out again. It's just that this time around, there are so many options in what can be done; it's actually difficult to narrow down what I should do next. Ah, because you have so many ideas flowing, they may disperse unless you narrow them down well. That's your dilemma. Lately, it has become more difficult for game developers to see what they need to do next to make players happy. So far, I think developers have built in more content to make the games denser, and added quantity hoping that will please the players. 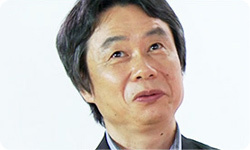 Now I'm really looking forward to what kinds of ways to play you're going to come up with Miyamoto-san, I have high expectations of you.